Just a note to say the Optibeam 16-3 is working like a champ. The best built and performing tribander I have ever owned. Looking forward to adding the Optibeam 7-2WARC antenna to round out my system. 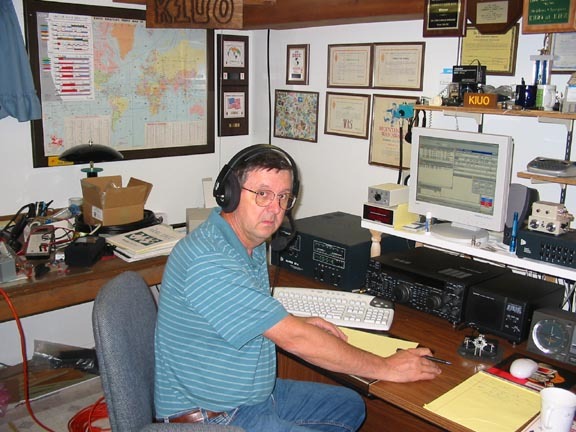 Larry has since then purchased an Array Solutions 1.4 WL vertical for 80m - he turns the OB16-3 + OB7-2W stack with a Prosistel PST61B rotator. Well I finally got around to getting the Optibeam OB-7-2WARC antenna to compliment my High Performance OB16-3 tribander. Compliment it does...excellent patterns for gain, F/B and SWR on this WARC 17/12 duobander. At first I thought something was wrong as the receive noise level for either 12 or 17 way always so low on this beam. That "worry" was short lived as I soon discovered I was hearing as much or more than the others around this area with WARC yagis! 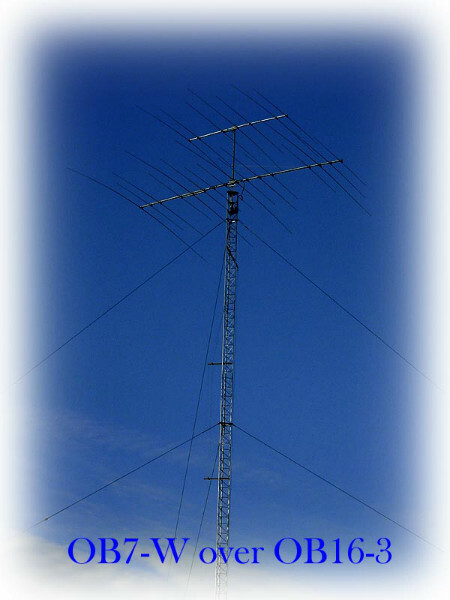 The interlaced design of 3 full sized elements on 17 and 4 full sized elements on 12, along with the excellent coupled feed system, gives this dual band antenna monoband performance on a single boom. The Alpha 87A simply loves the solid SWR levels at no worse than 1.2:1 on either band. Construction was a breeze, although the square boom threw me for a while! but then again the elements stay aligned no matter what. This antenna along with its cousin, the big 33ft boom OB16-3 tribander, have survived the Maine winter, complete with ice storms, with NO problems. I recommend throwing away the provided SO-239 feed point assembly and installing the EB-2 balun in its place. The balun output has a much better fit to US made PL259's and there is much less chance for ice/snow buildup at the feed junction.